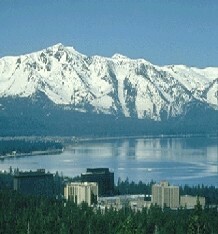 The 2005 International Sherwood Theory Conference is being held April 11-13 in Stateline, Nevada, adjacent to South Lake Tahoe. All technical sessions will be held at the conference hotel, Harveys Lake Tahoe. The conference host is the Sherwood Executive Committee and the local chair is Tom Rognlien (trognlien@llnl.gov ) from Lawrence Livermore National Laboratory. The local administrative assistant for the conference is Cynthia Henderson (henderson44@llnl.gov ). Oral submissions are closed; Poster submissions are extended through March 1 and post deadline poster submissions will be accepted until about March 11. The program consists of invited review papers, oral contributed papers, and poster presentations. Oral talks will be selected by the program committee from abstract submissions. All submissions will be accepted for presentation in either oral or poster format.